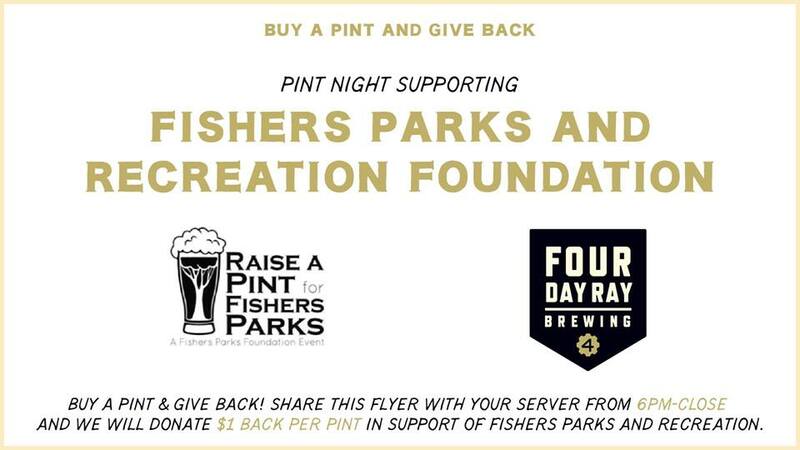 Raise a pint for Fishers Parks! The mission of the Fishers Parks and Recreation Foundation is to provide opportunities for the community to support the continuing legacy of world class parks and amenities provided by the City of Fishers. Their goal is to improve trails connectivity, add amenities such as trees, benches and directional signage. Bring in the attached flyer in person/digitally, share with your bartender/server, buy a pint, and we will give back $1 per pint purchased December 6th, 6pm to close to the Fishers Parks Foundation.